The Environmental Protection Agency slapped Volkswagen’s Audi and Porsche brands also with emission violation notices deepening the VW Emission scandal. The EPA included more expensive and bigger cars including the SUVs and luxury cars from Audi and Porsche. Previously, in September, the EPA had slammed charges of fitting ‘cheat devices’ into 482,000 small cars powered by a 2L engine. Now, the regulatory agency in its violation notices to Volkswagen claimed that an additional 10,000 luxury cars and SUVs powered by a 3L diesel engine also feature the alleged cheat device, purportedly meant to beat emission testing processes. The Volkswagen Group, in September, had admitted to using these devices to beat emission testing processes in nearly 11 million diesel cars delivered worldwide. The cars included in the first violation case of September include Passat, Jetta, Beetle and Golf. The recent violation notice includes SUVs such as 2014 Volkswagen Touareg, the 2016 Audi Q5 and the 2015 Porsche Cayenne, all powered by 3L diesel engines. Additionally, the more luxurious and the company’s most profitable models including the Audi A7 Quattro, the 2016 Audi A6 Quattro, the A8L and the A8 are also accused of featuring the said ‘cheat device’. While VW accepted the accusation in September, this time around it is clearly denying the charge and says that no software has been inserted to trick emission testing processes in the new models. A press statement from VW said it,’ “wishes to emphasize that no software has been installed in the 3-liter V-6 diesel power units to alter emissions characteristics in a forbidden manner”. 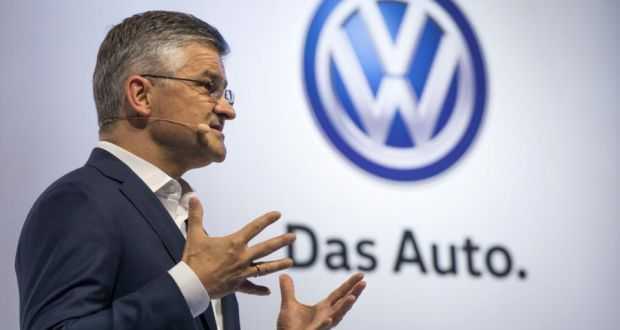 However, Mario Guerrerio, the spokesman from VW, did not elaborate further, including clearing doubts on whether the company used any other means to beat the emission tests this time. For the first time since the scandal broke out in September, Volkswagen’s highly coveted brand, Porsche, has been dragged into it. Matthias Mueller, the present CEO who took over from the earlier head who had resigned from his post citing moral responsibility for the scandal, was the head of Porsche before his assuming his current post. The assistant administrator for EPA’s Office of Enforcement and Compliance Assurance, Cynthia Giles, said in a press conference, “We have clear evidence of these additional violations and we thought it was important to put Volkswagen on notice and to inform the public”. She added that VW is using a sneaky mechanism to get past emission tests. While the cars are undergoing the emission tests, the installed software stimulates a ‘temperature controlling mode’ to mislead the regulatory system. On completion of the testing process, the ‘normal mode’ is switched back on automatically and more than permissible levels of nitrogen oxides begin to be released. These additional vehicles were allegedly caught by The EPA, California Air Resources Board and Environment Canada while testing VW vehicles and they confirmed that nothing similar was found in any car manufacturers’ vehicles. While several congressman reacted with outrage at the second allegations against Volkswagen and appealed vociferously to deliver justice to unsuspecting consumers, it is unsure whether the reputation of VW is going to be hit further although many owners are bracing themselves for the worst-case scenario.